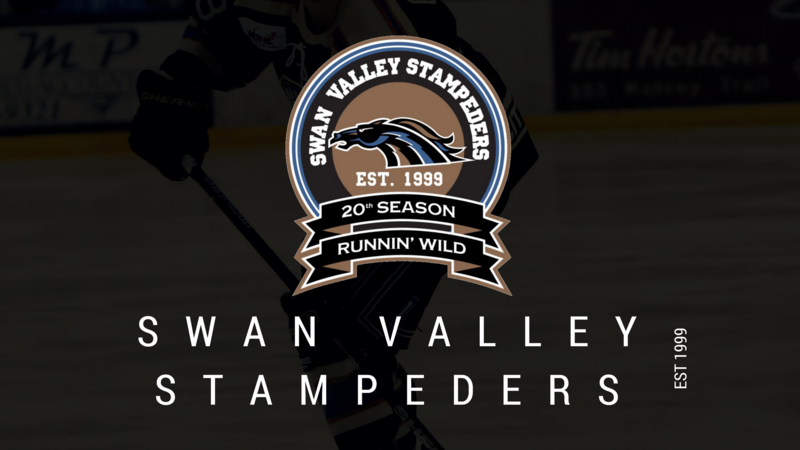 The Swan Valley Stampeders closed out January with an impressive 8-3 record, and continued their winning ways to kick off the month of February on home ice. The team has been on a tear as of late, putting together a five game winning streak and closing the gap to just six points behind 1st place in the MJHL standings. The Stampeders won all four games they played in last week, beating OCN 11-3 (Tuesday Jan 27th), Dauphin 4-3 in overtime (Wednesday Jan 30th) in Dauphin, Virden 5-3 (Friday Feb 1st), and Portage 1-0 in overtime (Saturday Feb 2nd). Over the course of the week, Swan Valley scored 21 times, while only giving up 9. Swan Valley held onto the number 1 spot in the Subway MJHL Power Ranking, and have jumped up to number 11 in the weekly top 20 CJHL rankings. Quintin Sudom continues to be one of the leagues top defenceman, and this past week he added some offence. The Fort McMurray, AB native picked up 4 assists against the OCN Blizzard Tuesday night in Swan River. The 20-year-old sits 5th in league scoring with 16 goals, 38 assists for 54 points in 49 games. Alex Uryga played in three games last week, picking up five points using his strong physical play. The North Vancouver, BC native scored four goals against the OCN Blizzard Tuesday night, and picked up an assist in Dauphin Wednesday. In 32 games, the 20-year-old has scored 12 goals adding 13 assists for 25 points. Bradly Goethal’s veteran presence continues to shine as the 20-year-old put up 7 points this week for Swan Valley. The Ile des Chenes, MB product continues to lead by example, scoring twice and adding 5 assists as the Stampeders went 4-0 in play last week. Goethals currently sits 2nd in league scoring with 29 goals, 35 assists for 64 points in 41 games. Next action for the Stampeders will be Saturday February 9th in Swan River against the Winkler Flyers. Puck drop is 7:30p.m. Tickets are available at Atkinson’s Sports Excellence or at the door.